Green Lawn Abbey is a beautiful historic mausoleum whose architecture invokes serenity and a wonderful sense of time suspended. At the Abbey we celebrate the richness of life and learning today, the lives of those that came before, and maintain this extraordinary setting for the tomorrows yet to be. 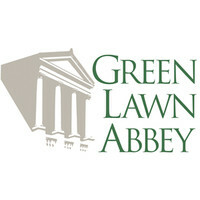 Green Lawn Abbey is also the ideal place to memorialize someone special with a service or a sponsored item. If you wish further information, complete the form below.